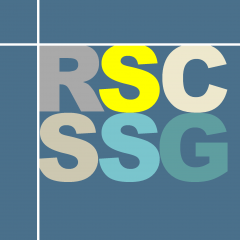 The 2016 Advances in Clinical Analysis meeting was organised by the SSG together with the Chromatographic Society, and took place on the 30th of November 2016, at the RSC’s Burlington House venue. The meeting featured speakers from the UK, US and Europe, and showcased recent advances in analytical approaches and methods in the clinical laboratory setting. Nearly a hundred delegates attended the all-day event, with speakers from the UK, US and Europe presenting their research in the impressive surrounds of the library room at Burlington House, vendor booths from companies including Waters, Shimadzu and ThermoScientific, and posters presented by attendees. Dr Russell Grant from LabCorp (North Carolina, USA) opened the meeting with a inventive and interactive talk describing his recent work on the quantification of protein concentration using LC-MS methods, with a focus on method development for the thyroid protein thyroglobulin. Dr Grant was followed by Prof Paolo Brambilla, of the University of Milan (Italy), who described his experiences with LC-MS in clinical settings across Italy, and addressed the barriers to mass spectrometry use in clinical analysis. Dr Brambilla’s talk included several examples of carcinogenic compounds and drugs of abuse quantified with great sensitivity using LC-MS, GC-MS and discussed the utility of using ion trap and ToF analyzers for clinical applications. Zuzana Škrabáková of ThermoScientific then took the floor to introduce the use of paperspray technology for the analysis of clinical samples, highlighting applications that originated in the Cook laboratory in Purdue. After a short break, Dr Neil Spooner from the University of Hertfordshire and the Microsampling Institute Centre of Excellence (MiCE) spoke about microsampling and its implications for clinical analysis. Then Dr Renata Gorska from the Nutristasis Unit at Guy’s and St. Thomas’ Hospital discussed the use of convergence chromatography for the analysis of vitamin K, and the improvements in cost, analysis speed and environmental impacts associated with the use of this technology in comparison to more conventional HPLC-based methods. Dr Christophe Auberger from Crawford Scientific followed this with a comprehensive overview of the various sample preparation strategies currently used for clinical samples, including supported liquid extraction, SPME, immunoaffinity extraction, SFE, liquid micro-extraction and dispersive liquid-liquid microextraction. Next, Prof David Cowan from King’s College London spoke about the advantages of using high resolution LC-MS to the analysis of doping drugs. Prof Cowan described the challenges that face scientists when performing such analyses, given the strict criteria issued by the governing body WADA (World Anti-Doping Agency) for such samples, and demonstrated how high-res MS can be used to develop sensitive and speedy assays for a wide range of target compounds. The final presentation of the day was delivered by the SSG’s Dr Lewis Couchman, on the use of ultra-rapid LC-MS/MS in high-throughput clinical analysis. Dr Couchman showed that with 5 mm columns packed with high efficiency particles, it was possible to get good separations using a 36 second gradient, without losing accuracy, precision or linearity. All in all, the 2016 meeting highlighted the importance of continued instrumental and methodological improvements in chromatography, mass spectrometry and allied measurement techniques for clinical applications, and demonstrated the diversity of approaches being implemented to increase the speed and sensitivity of clinical analyses. The enthusiastic audience and active support of the meeting sponsors were key contributors to the success of this event, and we can’t wait for the next meeting in 2018!